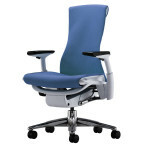 Tim Ferriss, the author of the Four Hour Work Week posted his experience on his blog describing his search for the perfect office chairs. 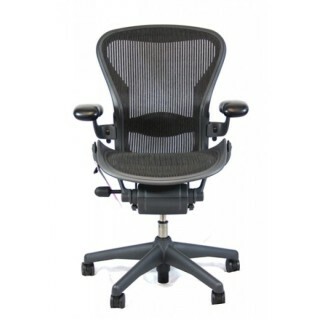 It’s no surprise to the office furniture professionals here at CubeKing, that he settled on buying the Herman Miller Aeron office chair. 1. 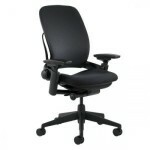 The lumbar support is – by far – the primary determinant of comfort or pain. 3. Using a 3′ long and 6″ diameter foam roller three times per day for 5 minutes can eliminate persistent middle-back pain from mediocre chair use; conversely, it can extend your comfortable sitting time by 30-40%. He also mentions that he bought his Aeron chair used. While we wish he would have purchased his office chair from CubeKing, we do recognize and appreciate his saviness to save money by buying a used Aeron chair. 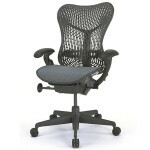 New Office Furniture Line From Cubeking…Coming Soon!